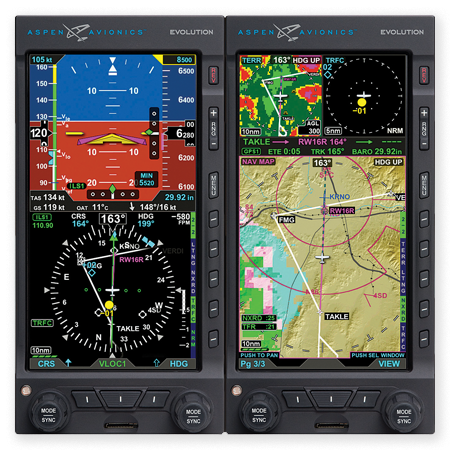 The Evolution 1000 MFD (Multi-Function Flight Display) added to your Aspen PFD doubles your display area and provides flexible display of maps, weather, traffic, charts, airport diagrams. 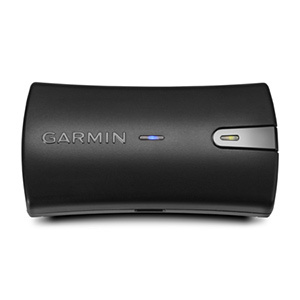 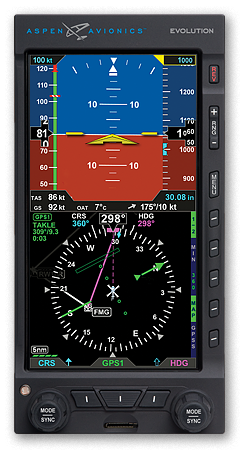 The 1000 MFD comes standard with built-in terrain awareness and provides full PFD redundancy, duplicating all critical sensors and systems. The 1000 MFD can instantly become a fully-functional backup PFD if your Pro PFD should deteriorate or fail. 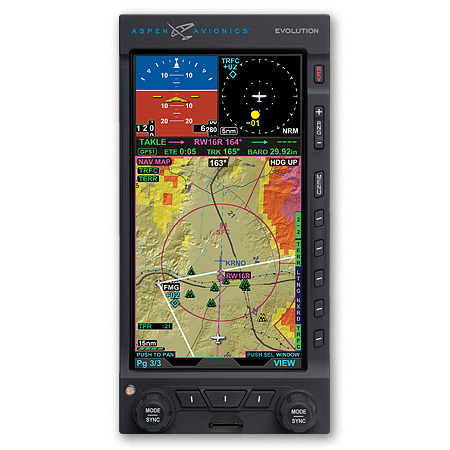 Adding an Evolution 1000 MFD (Multi-Function Flight Display) to your Aspen PFD doubles your display area — providing flexible display of moving maps, datalink weather, traffic, charts and geo-referenced airport diagrams, built-in terrain awareness, and much more. 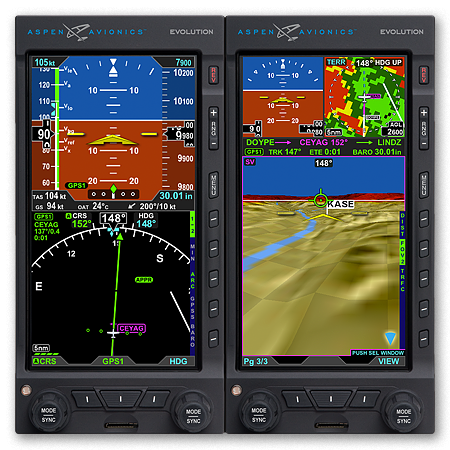 Built on the same platform as the 1000 Pro PFD, the 1000 MFD provides full PFD redundancy, duplicating all critical sensors and systems. 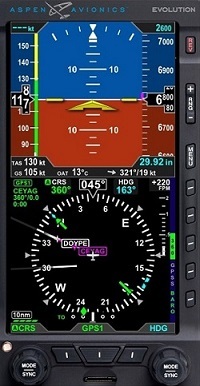 The 1000 MFD can instantly become a fully-functional backup PFD if your Pro PFD should deteriorate or fail.